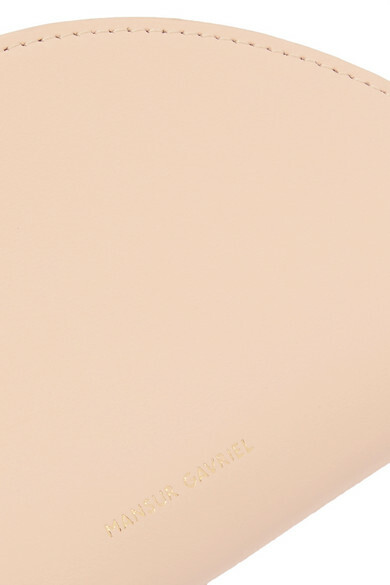 Mansur Gavriel's wallet is made from smooth leather that's drum-dyed and coated to protect the soft, pastel-pink hue. 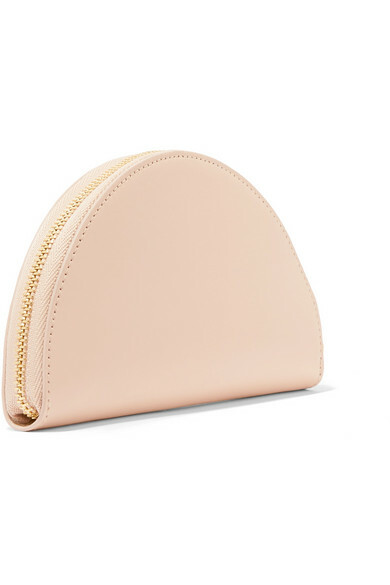 This semicircular piece is fitted with internal slots for your coins and cards. 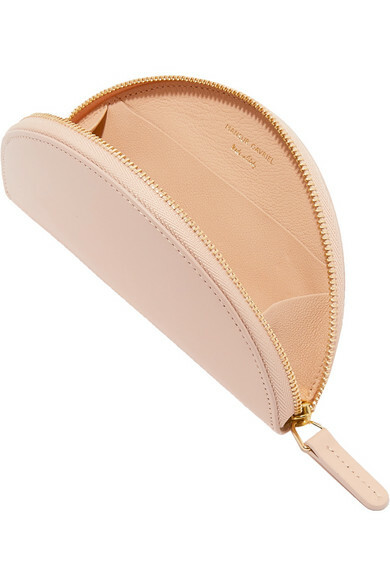 We love that it's small enough to tuck inside this season's mini totes. 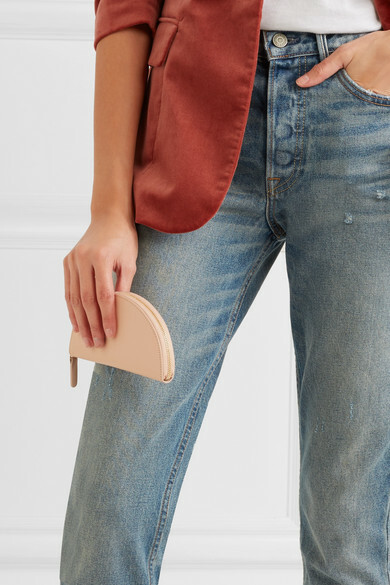 Shown here with: Acne Studios T-shirt, FRAME Blazer, GRLFRND Jeans.